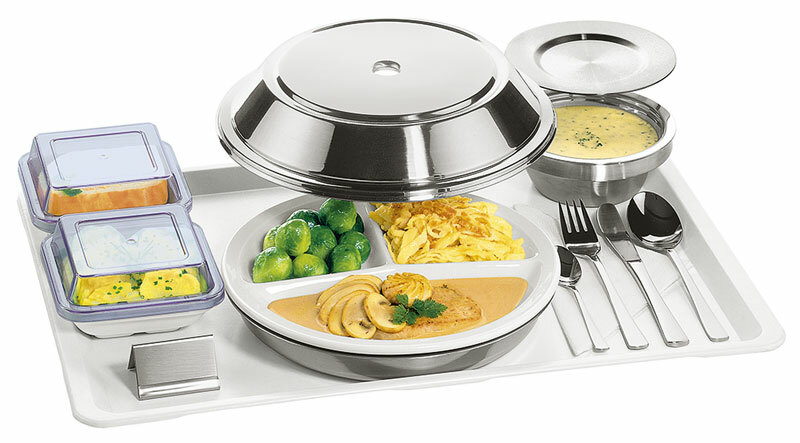 HEPP HOSPITALA food distribution systems characterise state-of-the-art food distribution on the passive distribution principle of cook & serve or cook & hold. 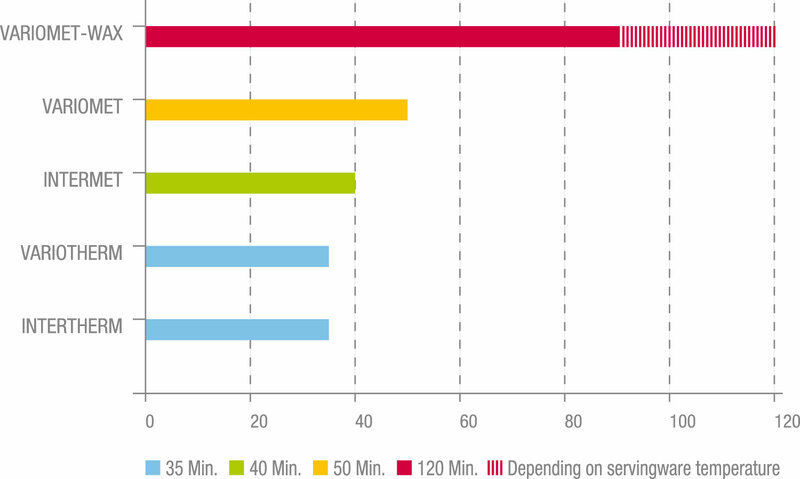 Distribution times as long as 90 minutes present no problems whatsoever and with the appropriate organisational arrangements and equipment, these times can be even longer, helping to ensure perfect kitchen and catering management. Also the right choice as alternative to or expansion of existing active-principle serving systems. 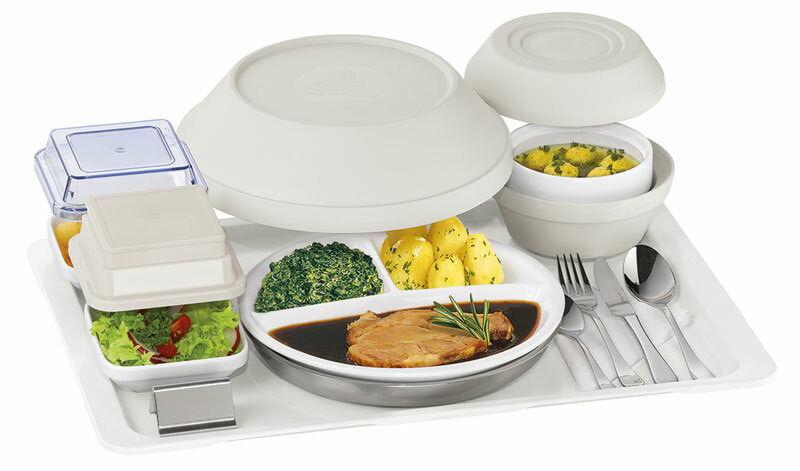 HEPP HOSPITALA offers a number of different systems for keeping food warm that can be fine-tuned to the most individual of requirements. The times stated above are guideline values for everyday operation of a hospital kitchen at 24 – 28 °C room temperature. Assuming fill temperatures of approximately 80 °C and an eating temperature of at least 65 °C. Insulating base part and cover made of thermoplastic. Use for midday meal and short holding times. Keeping warm for approximately 35 minutes. Cover seals neatly against the base part. The system items can be used for keeping warm or cold, so one system does everything that the facility needs. 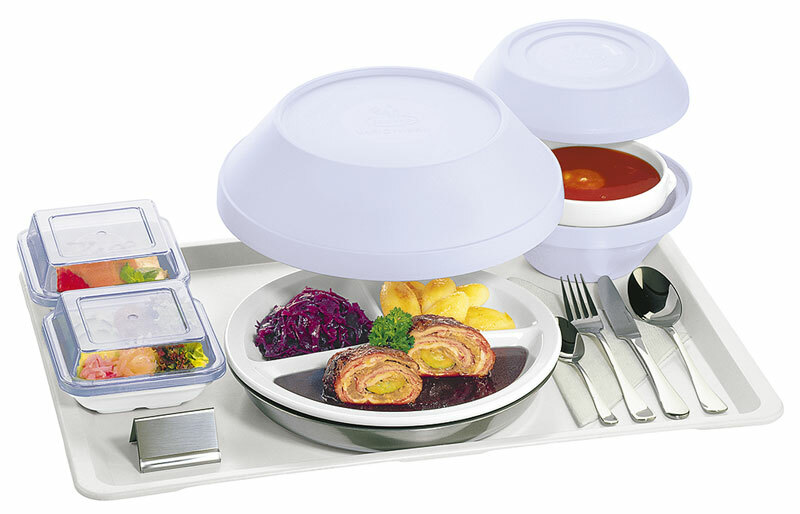 The base part is low, so the food is presented at a convenient eating height. 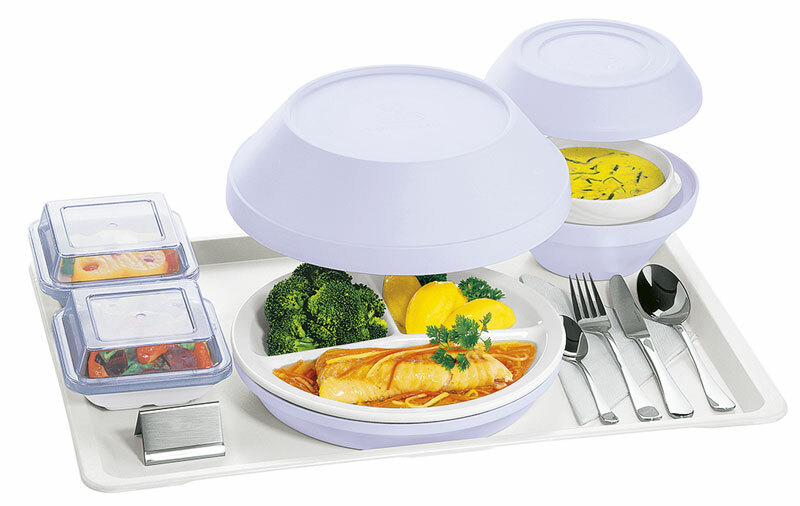 Cover has reinforced foam core for optimum insulation of warm dishes. Insulating cover sits neatly on the edge of the plate. Base part 18/10 stainless steel with heating core and cover 18/10 stainless steel single-walled with grip hole. Use for midday meal and extended holding times. Keeping warm for approximately 40 minutes. Reheat effect from stainless steel base part with heating core. Base part 18/10 stainless steel with heating core and insulating cover made of thermoplastic. Use for midday meal and long holding times. Keeping warm for approximately 50 minutes. Base part 18/10 stainless steel with heating core and wax core and insulating cover made of thermoplastic. Use for midday meal and extremely long holding times. Can keep warm for up to approximately 120 minutes. Extreme reheat effect from stainless steel base part with heating core and wax core. 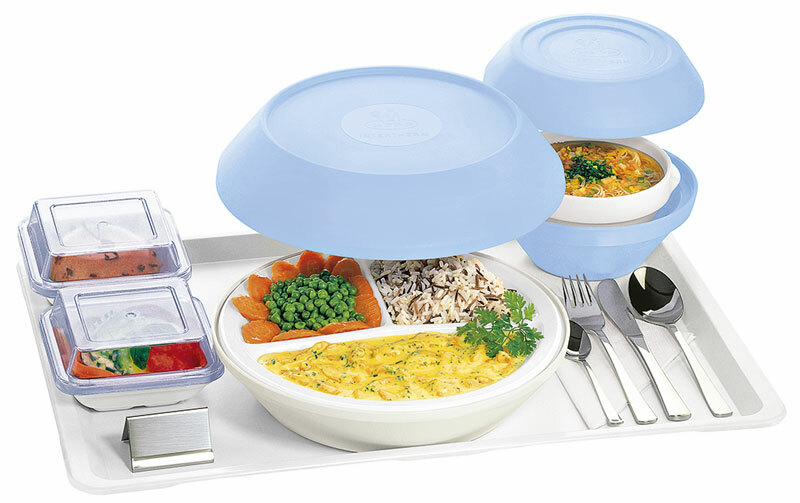 Active and continuous reheating of the hot dishes straight after portioning.